Palo Verde generating station, located in Arizona, is the nation’s largest power producer of any kind for the past 25 years. 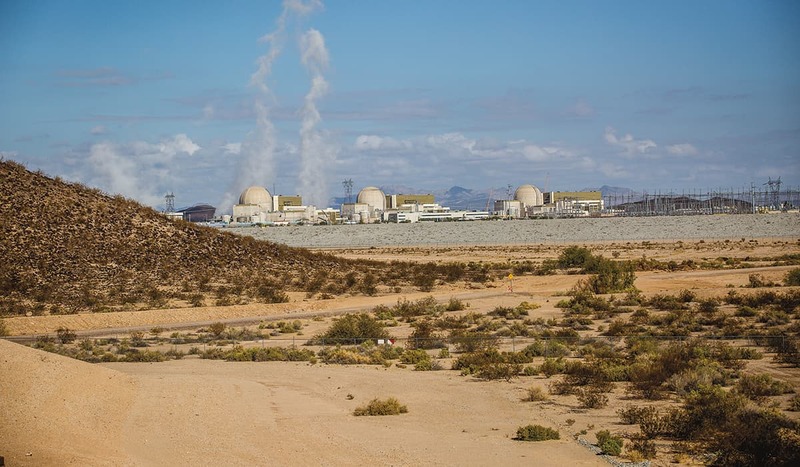 This nuclear power plant is a critical asset to the Southwest, generating enough power annually for over four million people. Protecting this vital facility is the Palo Verde Nuclear Security Team, led by team leader Dan Blaylock, who’s worked at Palo Verde for 14 years. We sat down with Blaylock to talk nuclear power, security, and, of course, Daniel Defense rifles. DD: Tell us about Palo Verde. clean-air energy in the United States. 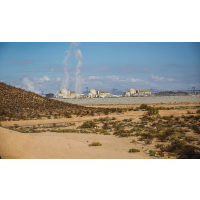 We have three pressurized water reactors (PWRs) on the site that generate 32 million megawatt-hours annually. DB: I can’t get into any specifics, but our primary mission is to protect the health and safety of the public—and I can tell you we take that very, very seriously. DD: What kind of experience did you have prior to working on the Palo Verde Nuclear Security Team? to come to work with this great group of people. DD: How often does your team train with and carry your carbines? DB: The carbines are carried 24/7/365; we train approximately every 5 weeks. DD: Tell us about your gear setup. DB: I can’t go into our specific load-outs, but we are running the Vickers VCAS slings and most of our LBE is 5.11/Viking Tactics. 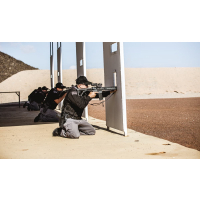 We also carry full-size Glocks with Safariland ALS 7390 Holsters. DD: After completing product trial testing, what were the factors that made you choose Daniel Defense? What features make it a good fit for you and your team? DB: Daniel Defense shipped me a DDM4 MK12 and a DDM4 V5 Lightweight for testing and evaluation. We were hosting an NRA Law Enforcement Instructor Development course in April that we wanted to put the guns through, and they got them to me just in time. We ran them pretty hard and dirty for the entire week of the Patrol Rifle course and only oiled them every other day or so. I personally ran the V5 all week without cleaning it and with only the supplied iron sights, and I passed the NRA qualification with a 100% score. I experienced no malfunctions with the gun. After all was said and done, we decided that an enhanced, custom carbine was the way to go. DD: What are some of the custom features you requested that Daniel Defense was able to provide? DD: Over the past year of service, what can you say about the durability, reliability, and accuracy of your Daniel Defense rifles? DB: The accuracy and durability of the carbines has been impressive, to say the least. 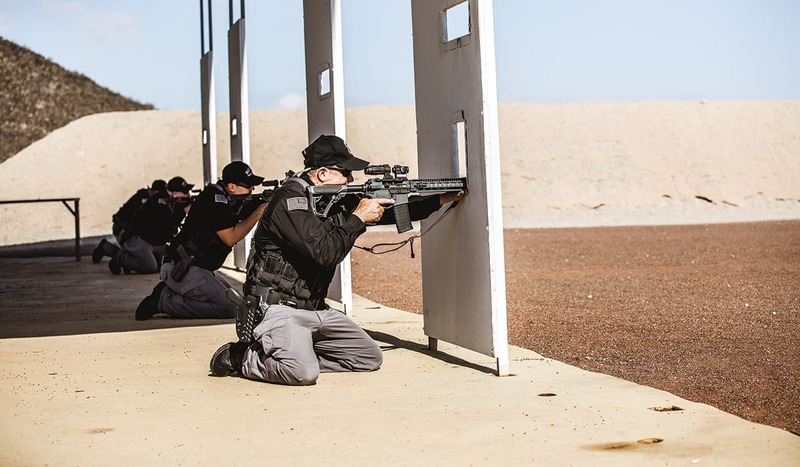 Our Security training department specifically utilized a test sampling of the rifles they were allotted to see how many rounds they could fire before re-barreling would be required. As far as I know, those same guns are still being used as part of our qualification courses, with little to no appreciable degradation in accuracy. 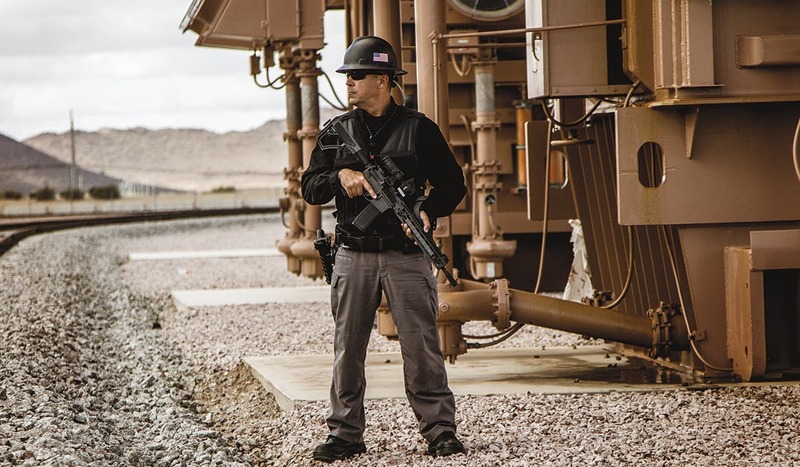 DD: If another power plant’s security team asked you why you chose Daniel Defense, what would you tell them? DB: You guys stand behind your product. Customer service is top notch, and the quality of the finished gun is second to none.